Artificial Intelligence (AI) is set to play an ever greater role in urban economic, social and environmental development. From running logistics and transportation networks, to assessing and responding to water levels, extreme weather or air quality issues we will increasingly look to computers to consider the options and provide solutions. AI will further help pinpoint where to build and how to connect new and existing infrastructure. As such artificial intelligence is seen to be a big part of the functioning of smart cities. Fortunately for Dublin there is a significant and growing network of highly skilled workers and entrepreneurs, multinational and local companies, and third level research and education centres specialising in AI on our doorstep. AI Ireland is a not-for-profit organisation set up to connect and promote individuals and organisations working in the sector. AI Ireland’s overall goal is to ‘bring together players in the field of AI in order to forge and strengthen ties and to celebrate the development of AI for the greater good’. 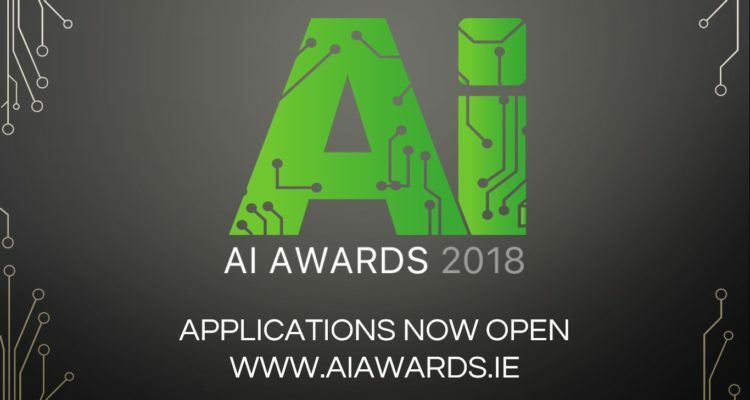 AI Ireland organises regular talks and events, blogs and podcasts, and will hold its first annual awards ceremony in 2018. As such, it has come to serve as a focal point for Ireland’s artificial intelligence community. best application in a student project. This year’s awards ceremony takes place in Dublin on November 22nd, but closing date for entries is August 20th- so get cracking if you are in a position to apply!